Patterson Belknap represented a woman who was in need of advice and support after the tragic death of her daughter. The woman’s daughter was killed by the father of her three children, in their home, in the presence of the children, twin teen-aged daughters and a three-year-old son. The children went to live with the woman as she sought custody and as she followed the criminal proceedings against their father. Patterson Belknap became the woman’s able and compassionate advocate in both the criminal and civil proceedings. The team regularly accompanied the woman to Criminal and Family Court, speaking reassuringly to her in Spanish, the woman’s first language. The criminal case was decided in March 2010, and in April of the following year, nearly four years after the death of her daughter, the woman became the adoptive mother of her late daughter’s three children. For the woman, who could not name or define the help she needed, it made all the difference to have legal advice and representation of the highest quality provided by compassionate advocates. 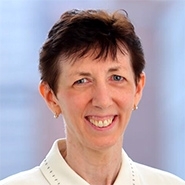 Elizabeth Shofner, a former Patterson Belknap associate, led the team’s efforts, with support from the firm’s Co-Chair and Managing Partner, Lisa E. Cleary.